First time making a homemade costume and i have to say they came out pretty good! 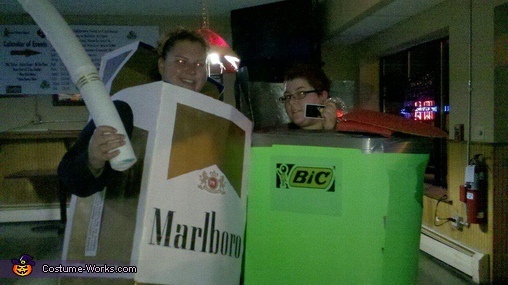 a friend of mine wore the marlboro lights costume nd i wore the bic lighter i made both of them! picture doesnt do the lighter much justice theres alot of detail in it that cant be seen! Can you give a tutorial on how you made this?